This past weekend I was fortunate to attend a writer’s conference in Niwot, CO, hosted by Rachel Weaver, founder of Colorado Writing School. I went with enthusiasm for what I might learn and came away with so much more than that. I came away with a head chock full of knowledge, a soul with renewed energy, a heart with renewed passion for the craft, and most important of all, validation for why I do what I do. A hall pass. We writers are an insecure lot, and if we’re not making a lot of money at what we’re doing, it’s easy to fall into the trap of wondering if our time spent writing is frivolous and if we should be doing something “important” instead. Despite five published books, another due out by the end of the year, it’s a rut I fall back into frequently, like the gutters my bowling balls rolled into when I used to bowl. 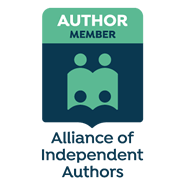 Stephen King, in his book On Writing – A Memoir of the Craft (a book I highly recommend for writers of all levels) states that only approximately 5% of writers can support themselves and their families with their writing. Considering his book was published in 1999, eighteen years ago, that the number of writers has grown exponentially with the boom of self-publishing, and the cost of living has gone up, that percentage is likely even lower today. Does that mean those of us who fall into the less than 95 percentile should pack it up and stop writing? Absolutely not! Going to conferences or writer’s workshops gives me permission, if you will, to do what I love to do. My day job is a job. It’s my vocation. Writing is my avocation. My passion. And being in a room filled with other writers, those who find joy and fulfillment in the written word and telling stories, doesn’t only make that okay for me, it makes it healthy and good. And Lord knows we can never have enough goodness. Lunch was spent with Kerrie Flanagan, author, presenter, and writing consultant, who shared invaluable insight. Another was an agent panel with Becky LeJeune and Shana Kelly, who also had invaluable advice when querying. A writer cannot get these nuggets of gold camped out in an office with the door closed. Writing doesn’t have to be a lonely endeavor. In a profession where most of us are introverts, finding comfort within the walls of our home office or tucked comfortably behind a computer screen, conferences and workshops offer a way for us to interact with people to “get” us. They provide connections to others in the industry. And it’s even enjoyable for us introverts! So write on. Go create. Get your stories out into the world. Permission granted.